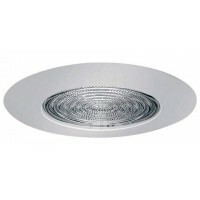 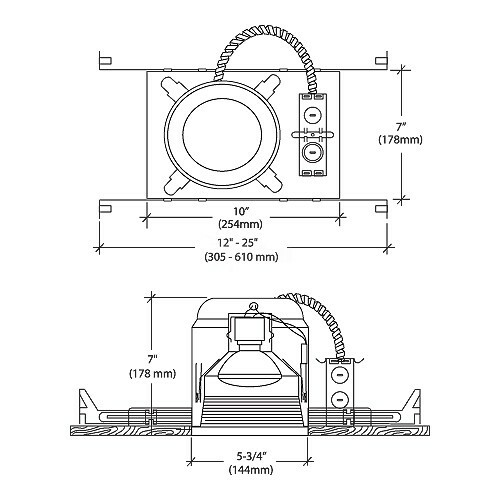 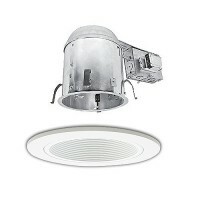 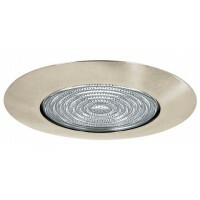 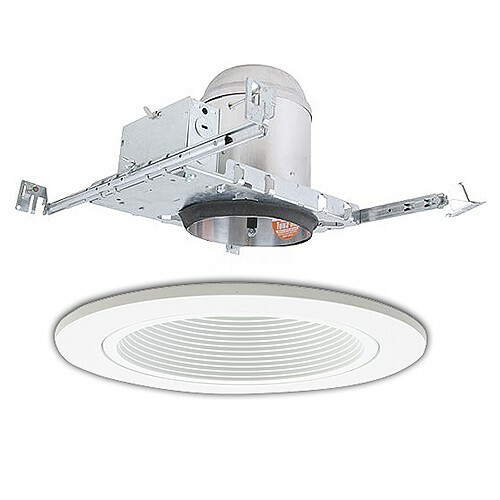 5" line voltage recessed lighting new construction kit includes a white 5" line voltage recessed lighting baffle trim, and a 5" line voltage recessed lighting new construction housing. 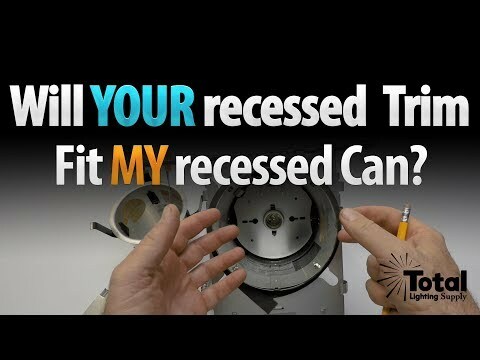 New construction, thermally protected, IC rated specification grade recessed housing. 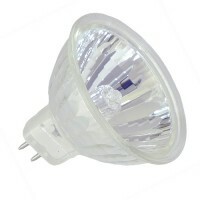 Accommodates up to 75W PAR30, R30 lamps, 60W A19 lamps and 65W BR30 lamps. 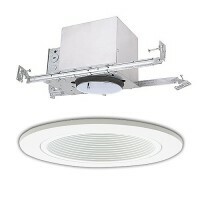 Furnished with preinstalled adjustable bar hangers. 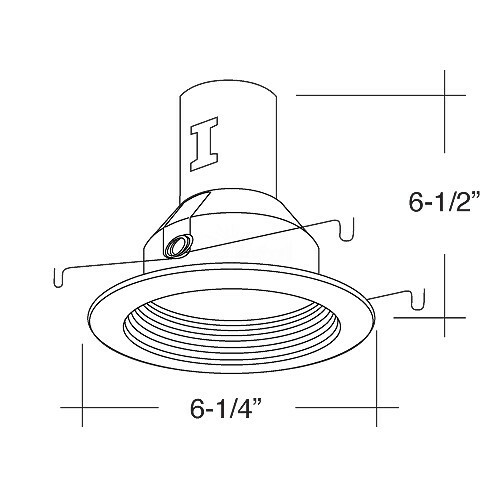 Junction box is provided with four 1/2" KOs, one 3/4" KO and four Romex knockouts with strain relief.